Is ‘Solving Problem’ the purpose of life ? What we do in our life generally ? What is that which occupy bulk of our mind , intellect and time ? What is that which has become source of our wellbeing or suffering in daily life ? PROBLEM SOLVING.Purpose of life is not to solve all the problems in life. However if the purpose of life is found, problem(s) get resolved itself. By this, I do not imply that “Magic Happens” .. Once the purpose is found “Problem” definitions itself dissolve in thin air, in most of the cases. And the Left-over problems do not overwhelm you any more . WHY? Because, Purpose in life gives you all the reasons to act and all the resources (power within) to meet the challenges and all the passion required to pursue things till the end. Best things is, you know where you have to go, and you don’t mind detours in life however small or big they may be.If we look carefully why we don’t enjoy what we do and yet keep doing it for the sake of our survival ? Its because, our activities or the behaviour is not aligned with our Purpose. The agony and suffering is even deeper for most because bulk of the humanity is yet to discover the purpose itself.We do things because one of the neighbour does it . Then we compare ourselves with another neighbour, and that becomes another sore point accentuating our suffering. This running around and never ending rat race continues till the end of life.When we travel in a train we don’t compare ourselves with others in terms of WHERE they are going. A simple awareness of our destination/purpose makes us travel together with others , we meet and we part without suffering and with some memories of fellow travellers. This analogy can be applied on life that simple awareness of our life purpose alters our experience of life . Not necessarily that we have to change what we do, fact is whatever we do starts fulfilling the purpose of life. 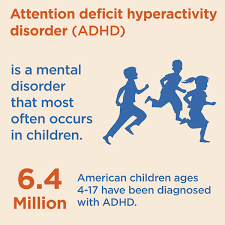 In cases of ADHD, it is YOU and not your Kids, who need treatment, I know it is a big generalisation I am making, but I am doing so in full consciousness. If we do a sampling of adults in an urban society and take them through a test, a higher % of adults in comparison to children, will be declared suffering from ADHD. In my counselling experience I have been able to establish this fact, in majority of the cases, barring a few extreme clinical cases. Parents, change your own behavior and in majority of the cases you won’t need your child to go through a clinical process. Most of these are cases are creations of our own behavior as parents and teachers . The worst is when we don’t look at it and expect them to get corrected with the help of medical intervention.Medical Sciences will keep creating new definitions and terms for its own PROFITEERING and creating newer medical conditions for even bigger profit. Here are some simple observations and tips which may help dealing with such cases. One of the biggest cause of ADHD is over exposure of information through electronic media.As parents, cut down your own usage of electronic gadgets such as Television, Mobile, iPads etc. and child will follow. The amount of time you spend with gadgets, is a clear indication for the child to imitate that behaviour and after some time that becomes a necessity for the child as those behaviors get associated NEUROLOGICALLY with other important activities such as eating food, sleep, study, or any other social activities such as playing a game , interacting with people etc. Stop buying time for yourself by handing over your mobile phone and iPad or using a Video on TV screen or laptop for keeping them distracted. In the formative years your attention to child is priceless. Your investment will last for life. During the early ages, when the cognitive abilities and emotional connections are not fully developed, children start relating with anything they are exposed with equally, it could be real humans or be objects, even a cartoon character. If not exosed enough with real humans, their ability to feel real human feeling also gets hampered. This can make them less sensitive to real human feelings leading to dysfunctional social behavior patterns. Their Neurology will learn those patterns in initial years and will last for life..Be careful what they are learning. Due to over exposure of information in the developing ages, child’s neurology get tuned to receiving too much of information/per second ( through electronic gadgets, videos etc.) and gets wired (synaptic network) to process huge amount of information. A simple motor action requires much less processing by brain. For example, playing a real sports or talking to someone or paying attention, music, arts require much less amount of processing hence synaptic network gets formed accordingly. Once Brain is wired for too much info (Hyperactivity), it can’t perform normal activities in normal way. To a large extent this can be reversed by re-training the child with different kind of stimulus. Attention, personal touch, hugging your child can be best medicine. Play outdoor games with them which will slow down their neural function and connect them with real feelings also. These are the best medicines. There are many YOGA postures which can help your grown-up kids in getting better with ADHD symptoms. Behavioural redressal is far more advisable than finding an easy way out and intoxicating their life with chemicals. Author of this post Paritosh Sharan is a Behavioural Analyst, Counsellor, a Master Practitioner and Trainer of NLP. For more details contact +91 99 66 400 373 . Are you familiar with the concepts of Neur-Linguistic-Programming? If the answer is in affirmative, are you aware about the existence of NLP certification courses? Yes, NLP courses in India are increasing with each passing day. And why shouldn’t they. After all, in today’s ever competitive and demanding world, who doesn’t want to create everlasting, sustainable positive changes in their life? While NLP courses and NLP courses in India in particular offer a structured approach to fundamentals and knowledge of Neuro-Linguistic-Programming, majority of people remain sceptical about the effectiveness of these programs. “Will this program be worthy of my time and money?”. “Will I really reap the extra benefits as are promised?” “How different can it be from the material I read in the book/website?”. Questions like these and much more, come across the minds of potential participants of NLP certification courses. So should you or should you not enrol for such NLP courses. The answer depends. It depends on your desire. See it’s said that the difference between having and not having, is purely desire. So if you desire to apply the principles of Neuro-Linguistic-Programming in your real life, then such NLP certification courses are definitely for you. If however you are “happy” to simply know the principles of NLP, and do not bother much with its successful application, then NLP courses won’t help you much. Being efficient at using the NLP principles requires a systematic approach just like any other discipline of life, be it studying economics or learning to play guitar. While there is just so much that one can learn from reading books and online materials, attending the NLP courses catalyses the entire learning process. There is no dearth of good NLP courses in India that not only teaches you the fundamentals but also provides you with a platform to practice those fundamentals, which is difficult to do when you go solo. NLP courses in India have the dual advantage of latest research and the benefits of traditional class room setting. Such NLP courses provides the practitioner an opportunity to interact with like-minded individuals, share the learning’s and experiments with the NLP techniques, all under the able supervision of a certified NLP trainer. As the saying goes, “Less knowledge is more harmful”, attending NLP certification courses conducted by an NLP coach saves the potential aspirant from the pitfalls of incorrect implementation of NLP techniques. 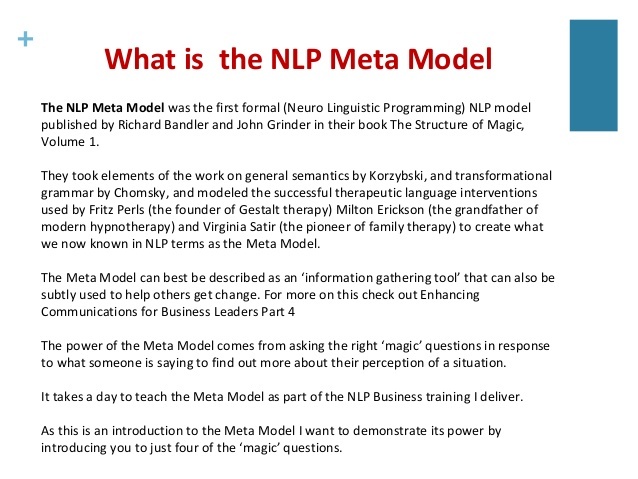 A person trying to learn NLP from books may wonder why the principles are not producing desired results, or worse, why producing the exact opposite output. But by the direction of a certified trainer and/or coach running the NLP courses the aspirant can truly appreciate the crux of the various NLP techniques and how to put them into daily practice, for getting the desired tangible and non-tangible outputs. If I have to summarise my experience so far while coaching or counselling people in last few years and if I have to draw from my own life journey, I feel there are two approaches to life . PROBLEM centric or PURPOSE centric. It’s a different thing that sometime we use them interchangeably as if sole life PURPOSE is to solve PROBLEMs. Right from very beginning bulk of the humanity has been conditioned to survive by solving PROBLEMS. Where this approach is leading us? Only towards bigger and more complex problem. Even humans search for fulfilment, happiness and peace is oriented towards solving PROBLEMs as if that’s THE way. What about transforming the PERSON itself who is experiencing the PROBLEM ? That probably would call for a different approach to life which would be PURPOSE driven . Thin line here would be to recognise that me being the part of the universe can’t have separate PURPOSE than the ultimate higher purpose. 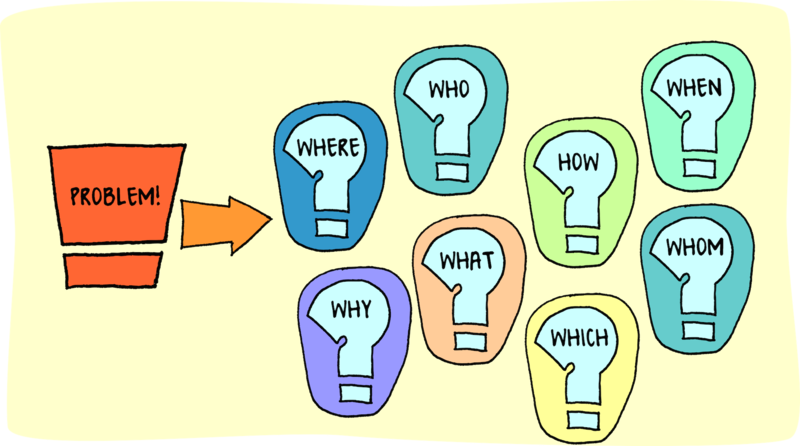 This enquiry can transition one from PROBLEM SOLVER (Intelligent) towards Self-actualisation and finally LEAD us towards Self Realisation. 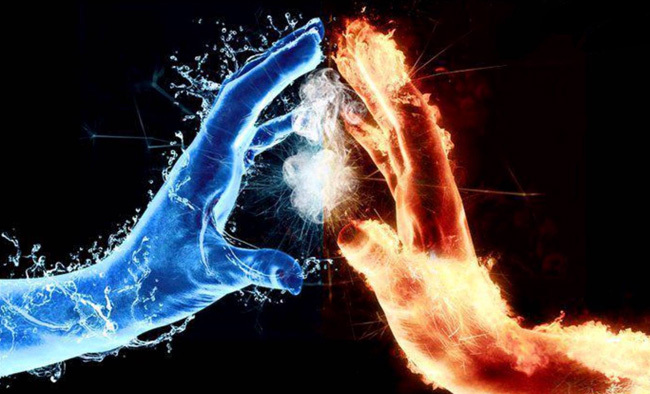 Identities would start releasing it’s grip on Self and debris of past experiences would no longer drive the behaviour, oneness is experienced , attachment to desires start diminishing, then only we can truly start living in the moment . I have often heard successful businessmen say that business is a combination of war and sport. While I couldn’t agree more, the NLP master trainer in me can see through that they mean it more in a negative sense. For like war and sport, failures, struggles and loss are a part and parcel of business as well. Just like an unprepared general or an unskilled sports person is bound to fall, a businessman that is not in complete control of himself, will sooner or later witness the business being affected by this shortcoming. Which is why importance of NLP training in business is equal, if not more, than in personal life? Neuro-Linguistic-Programming or NLP training programs have helped innumerable people take control of their lives by moulding their behaviour and channelizing their energies. Now if a person can be in charge of his/her emotions and behave in ways that promote co-operation and harmony, imagine how beneficial that person could be in business world. Businessmen who either find it hard to deal with difficult client or arestruggle with failures of the past can learn new ways to gain confidence in dealing with clients/deals and command influence over staff and partners. An effective Neuro-Linguistic-Program can teach the concept of changing an individual’s subconscious thinking patterns and in the process, re-enforcing the positive habits, while systematically weeding out the negative tendencies. All of this translate to increased levels of productivity of a businessman. A businessman who has greater control over his mind in turn has greater control over other’s mind as well. Eventually, they are able to project their business to the clients and customers alike in much more favourable ways, which in today’s world of competitive marketing, is an extremely important business skill. The life of an entrepreneur or a businessman is full of challenges. Yes, that’s something which is not in shortage. However, importance of NLP training in business, in my opinion lies in the fact that an NLP practitioner is able to look past the negative side of the difficulty and focus on the positive aspect, thereby not being overwhelmed by these challenges. 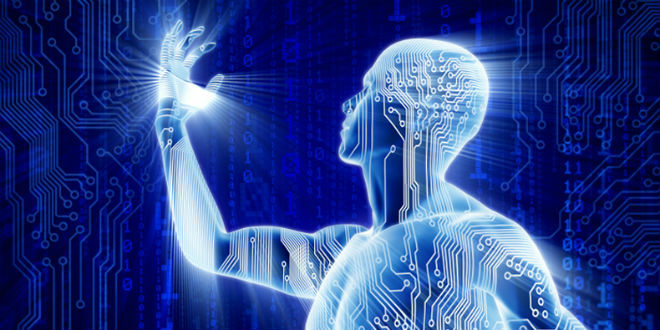 NLP techniques will help them appear visibly confident and resilient, to clients, customers and stakeholders alike. This ability to handle setbacks can be the key takeaway from NLP training programs meant specifically for businessmen and businesswomen. Studying behavioral models of successful businessmen and mirroring the same can ultimately lead to draw infinite amount of inspiration. Ultimately, the entire business, and not just the practitioner, can benefit from the skills and techniques Nuer-Linguistic-Programs have to offer. Verticals like sales and marketing and communications can witness tremendous amounts of boost in terms of productivity, from day one itself. Irrespective of whether the business involves a few people or a few thousands, whether the business makes a few thousands or a few billions, importance of NLP training in business can’t be undermined if the dual purpose of a satisfied customer and profitable business has to be achieved, simultaneously. Seeking is what human brain has been programmed for and it’s a god’s gift . Unconsciousness mind is always at our service . But what to seek for is a conscious command we give to our unconscious mind. Those who seek happiness they keep searching for it more and more . Those who are seeking satisfaction they keep doing so more and more. Those seeking wealth and abundance again there is no end to it . So what an instrument given to us in terms of human brain and unconscious mind, which need just a command and keep working endlessly ? And we can’t say this is curse by any means which is to seek endlessly something but yes that’s the tendency which has brought humanity to the brink of disaster . Problem is not the Great Autopilot unconscious mind, the real problem is our level of consciousness which sets the orientation ‘WHAT TO SEEK’. It’s well within human’s purview to search for real meaning and purpose which can reorient the seeker to seek something worthy of life and make fullest use of this prime directive of unconscious mind . We need not worry HOW actually, we only need to investigate WHY, and WHAT. HOW emerges as universe conspire to deliver . That’s not as difficult as it has been presumed to be. Give it a chance. India is slowly waking up to the magic of Neuro-Linguistic programming (or NLP in short) training and the wonderful potential it has to offer. While conventional NLP training methodologies, simply scratch the outer surface of the trainee, the NLP directed trainings reach far beyond that. It provides an effective means to learn how to get complete mastery over oneself with the help of one of the best NLP trainers in India and their experiences. NLP training in India, might be a newer concept, but to the rest of the world, Neuro-Linguistic Programming has already proven its mettle. These trainings help one learn practices and methodologies to enable improved sense of emotional well-being and achieve greater mental fortitude. A neatly and well-crafted and Best NLP Training in India can and will empower you to accomplish and sustain better levels of motivation round the clock. Identifying your negative and self-depreciating tendencies and substituting them with the positive and powerful habits, thereby removing the blockades to your professional and personal growth is one of the key takeaways from NLP Programs in India. A powerful NLP Training session in India can support you in your pursuit of professional aspirations as well as inner peace. A. NLP trainings crafted specially for corporates/executives/entrepreneurs, helping them move up the professional ladder. B. NLP coaching aimed at providing an all-round personal development of an individual at emotional, behavioural and mental planes. D. For the first time NLP training for potential Entrepreneurs, providing them increased potential and empowering them with better control over oneself and one’s decisions. E. Coaching the coaches that need coaching. Yes, it is all about sharpening one’s axe and we deliver effective NLP Trainer in India specifically keeping in mind the needs of today’s trainer. F. NLP training programs catering to sales people, enabling them to handle stress, create better selling strategies and meet the target every single time.